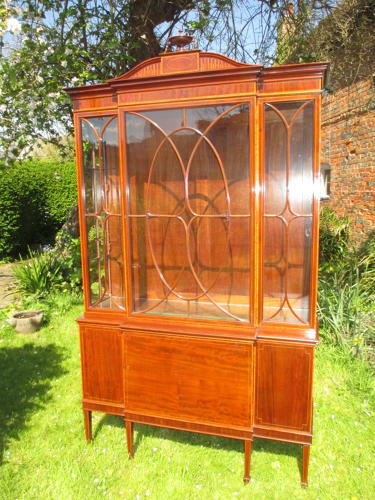 A very nice quality flame Mahogany display cabinet with satinwood cross banding , with very attractive glazing bars to the top section and cupboards below all on tapering legs with spade feet. In the neo-classical style with a carved urn to the cornice. Conveniently comes in three sections, with glass shelves.